Sketches challenges are my favourite! 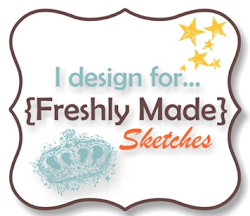 Jen M is this weeks hostess at Freshly Made Sketches and she has created this fabulous sketch. I mentioned on Sunday that I’d made another card using my Elements of Style stamp set, so that’s what I’m sharing with you today. I stamped the image twice, one for the main panel and for the second one I coloured in the flowers with my blender pen and More Mustard Ink, fussy cut them out and raised them up. Can you tell I like to give my cards dimension? Head over to Freshly Made Sketches and check out the gorgeous inspiration the Clean Team have created this week. Narelle, you need to come visit and teach me how to make that bow!!!!!! 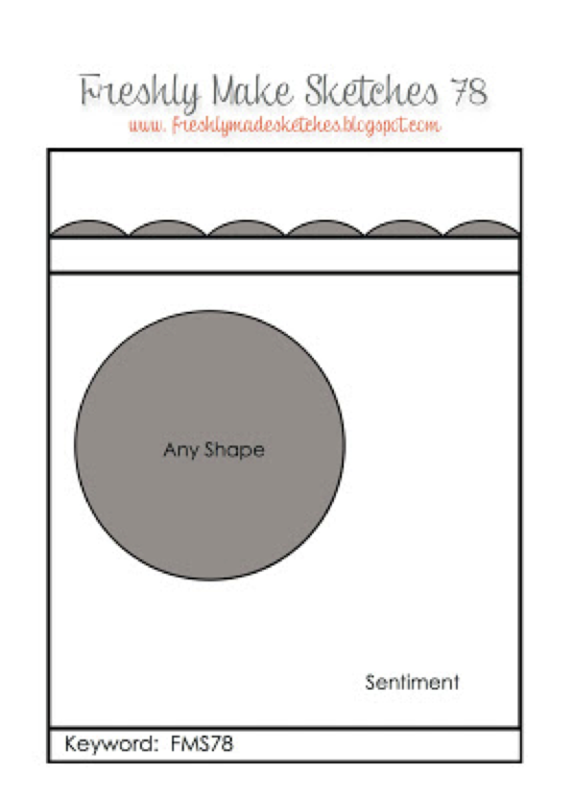 I love your colors and love all your layers. This is so pretty! Those fussy cut flowers are extraordinary! I agree with Rita. You need to give us an FMS DT tutorial on that bow (I always love yours!). Another gorgeous card, Narelle! Love your color choices, so subdued and classy. Oh Narelle! This is beautiful! Those flowers are fabulous! I can’t believe you cut them out!!! The layers and the bows are incredible! Just beautiful, Narelle! I love the neutral color palette with the subtle pop of yellow. And your bow is gorgeous! I’ve been searching for a way to use my Howlstooth and Scaringbone DSP for a non-Halloween and now I’ve found it! Love those bits of subtle yellow on the flowers too. They seem to jump off the card! Gorgeous! The colors are elegant. The mix of detail in the stamp and the simple chevron paper is perfect. And I love the dimension!! Wow! I love, love the gray and yellow! So elegant! Beautiful card Narelle! 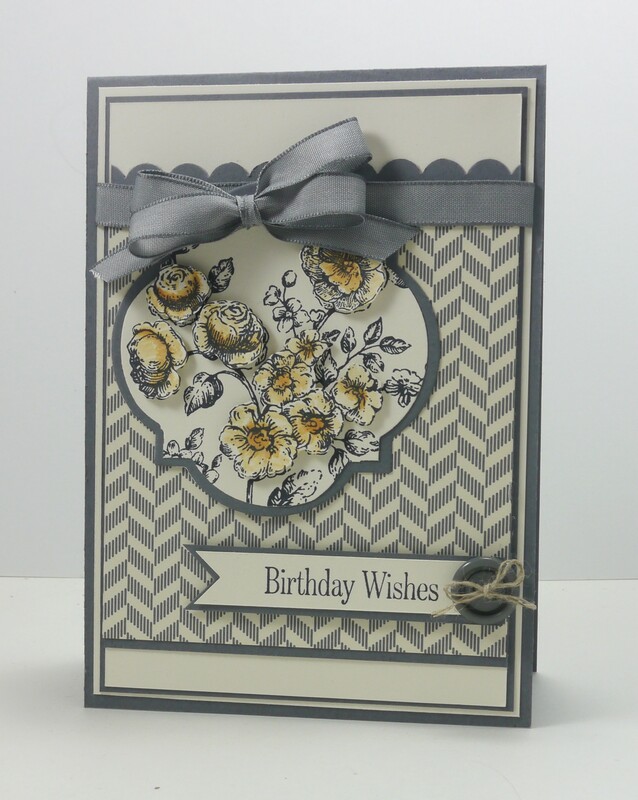 Lovely colour choice, and yes the dimension always makes a card pop! Fabulous card and I love your bows! You will always be the Queen of flowers and ribbons to me, Narelle! Another absolutely stunning card. The way you master DSPs and colors is simply amazing.